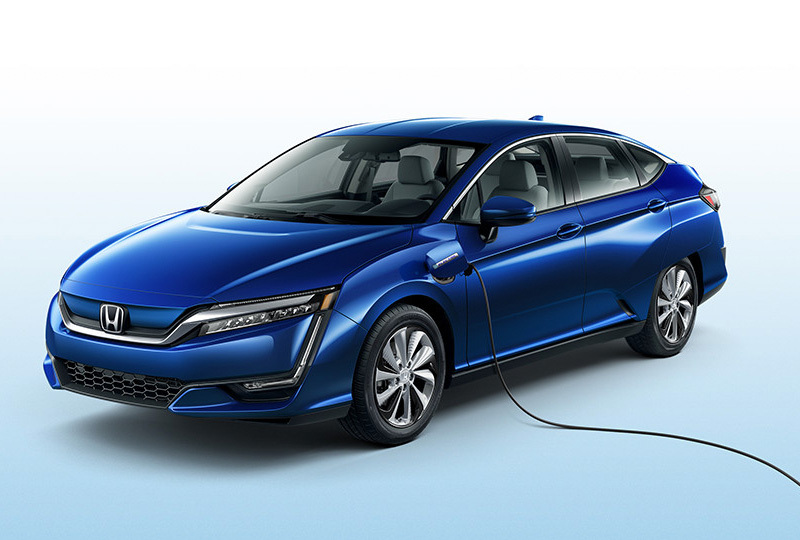 The 2018 Honda Clarity Plug-In Hybrid for sale at Renaldo Honda in Shelby, NC, near Gastonia, NC and Gaffney, SC, is an eco-conscious sedan you don’t want to miss. It operates on an efficient 4-cylinder VETC engine and electric motor with 181 horsepower and 232 lb.-ft. of torque. 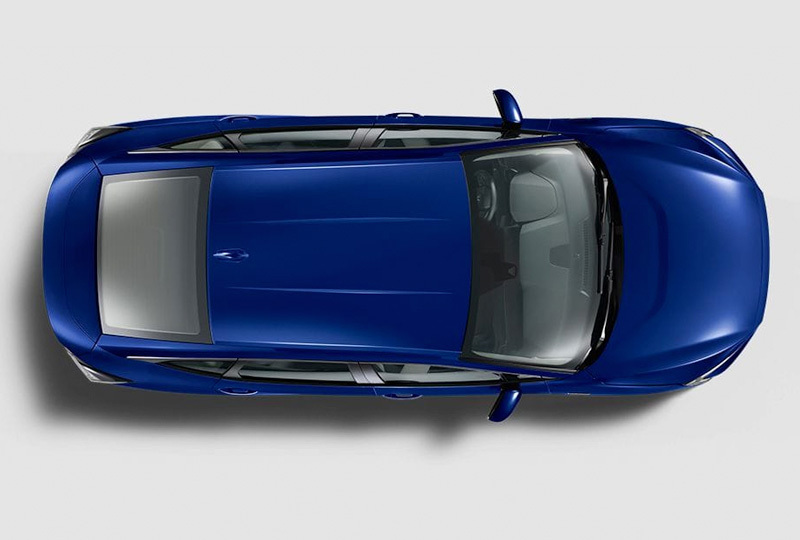 LED headlights and taillights complement aerodynamic design lines that provide a sleek aesthetic. During the cold winter months, you’ll love the heated front seats that feel even better with available perforated leather trim and standard dual-zone automatic climate control. During evening drives, the auto-dimming rearview mirror comes in handy when bright headlights pop up behind you. No matter the time of day, safety features like lane keep assist1 and a multi-angle rearview camera with dynamic guidelines are on hand whether you’re on the road or in the parking lot. You can also use the Smart Entry system to get in the car and moving quickly, as well as Walk Away auto lock to ensure your vehicle stays secured. When you head out for fun weekend adventures, the 8-inch audio touchscreen display and Apple CarPlay® or Android Auto™ are sure to be your best friends. You can also opt for the available Honda satellite-linked navigation system with voice commands to keep yourself headed in the right direction. There’s never been a better time to purchase a new Honda. Stop by Renaldo Honda, located at 4421 East Dixon Blvd in Shelby, NC, to take a test drive and head home in your brand-new 2018 Honda Clarity Plug-In Hybrid! 1. LKAS only assists the driver in maintaining proper lane position when lane markings are identified without a turn signal in use and can only apply mild steering torque to assist. LKAS may not detect all lane markings; accuracy will vary based on weather, speed and road condition. System operation affected by extreme interior heat. The driver remains responsible for safely operating vehicle and avoiding collisions. 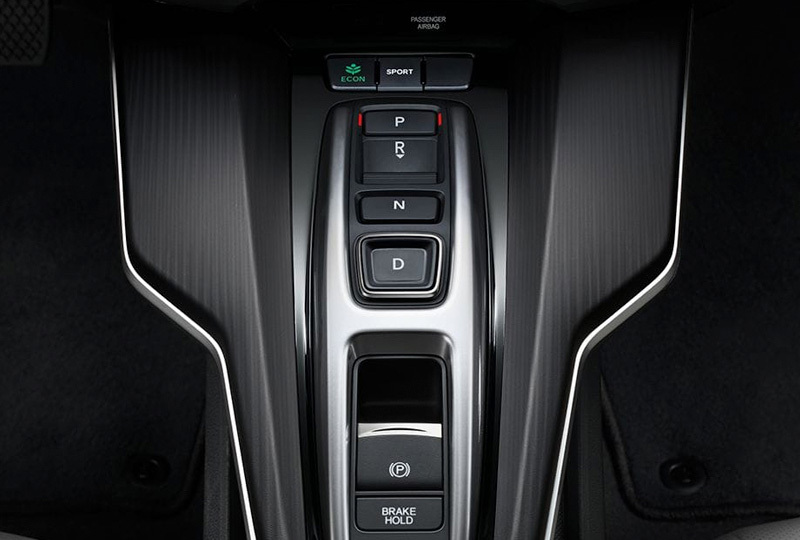 With the innovative Electronic Gear Selector, the touch of a finger can take you from Park to Drive without the use of a traditional gear stick. Clarity Electric is capable of DC fast charging*, which allows for up to an 80% charge in only 30 minutes. Or plug in virtually anywhere ‐ Clarity Electric is also Level 1 and Level 2 capable. 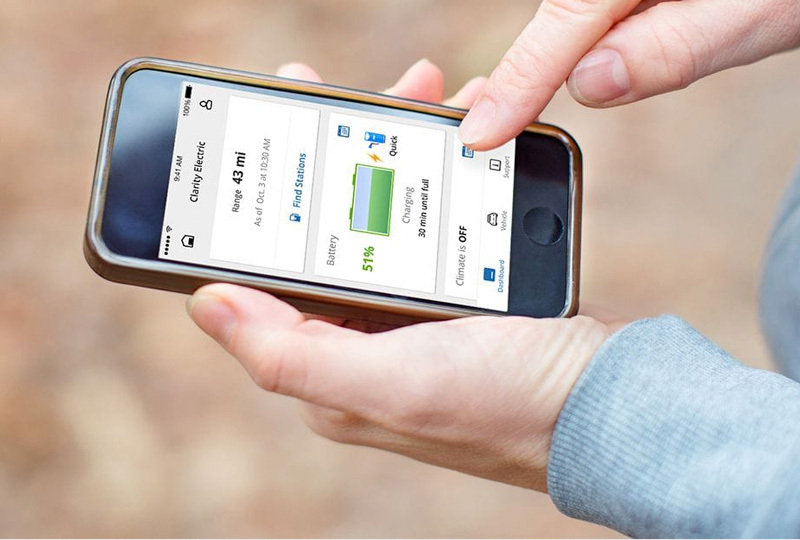 Whether at the office or in your living room, you can stay in touch with the many features of your electric vehicle via the available HondaLink® app. This includes viewing real-time charge level and remaining range, the ability to find your car and pre-condition cabin temperature from outside the vehicle, and more. Planning a trip or sitting in park? The HondaLink® app includes StationFinder, which can help you locate the nearest approved EV station, and provides directions to lead you right to it. *DC Fast Charging: Compatible DC fast charging stations may not be immediately accessible in all areas.